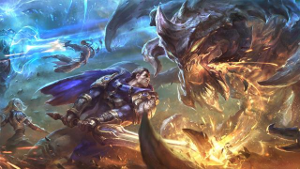 Official Patch 8.1 Notes Released! Official Season 8 ranked begins January 16th, and the last few buffs are in place to kick things off. Check out the latest on the horizon with Zoe and surprisingly, Heimerdinger nerfs in store. Meanwhile, my buddy Brand got a bit of a buff this time around, which is perfect for when the tryhard tanks come back around. It's the first patch of the new season, and that means it's our last chance to make changes before the season starts! We already had an extra patch (7.24b) to round out the preseason leading into the holiday break, so this patch is a good deal smaller than usual. The Ranked ladder resets with this patch, so we’ll see you out there for placements. To go with that, there are a few updates to the Honor system aimed at rewarding honorable players with some sweet loot! Note: these changes will come into effect when the season starts on January 16. Brand was one of the top users of Deathfire Touch, and without it, his baseline damage is lacking. BUFF-FIXWhiplash no longer goes on cooldown if it fizzles due to Evelynn losing vision of her target during its cast time. Q cost and cooldown decreased. W slows more heavily but for less time. Graves has unreliable in the early game. His burst damage is high enough that it doesn't need an increase, so we made some small changes to give him more room to shine early. Big turret beam damage decreased. Without the stats (namely CDR) from the old rune system, Kayle has a harder time reaching full uptime ranged attacks with Righteous Fury. On the other hand, most of the new runes gave her more damage overall. We're trimming back on basic attack damage, while making it easier for her to reach full E - Righteous Fury uptime more easily. E proc deals more damage and stuns for longer. Base mana increased. Skarner has been pretty weak in the preseason, so we're buffing up his damage, crowd control, and mana. A lot of R bugfixes. Weird things have been happening if Unleashed Power's target died or became invulnerable before every sphere dealt damage. We've fixed a lot of those bugs. E trap arm time increased. R exit portal delay decreased. Zoe's skillshots hit or missed based mostly on her skill, not her opponents'. We want to give a bit more room for players to actively dodge Zoe's damage, so we're giving players more time to see where Zoe (or her skillshots are) before they're struck. Addressing a few feels-bad parts of Predator. Predator is still a bit awkward to use, so we're introducing some usability tweaks to make its activation more consistent and its proc more intelligent. NEWADRENALINEPredator's rate of movement speed increase is increased by 50% for the first second and a half of the effect. This is unlisted in the tooltip because if you're making decisions around it, you're probably overthinking things. Stat bonuses are now split between health and the stat provided by your secondary rune path, and provide the same amount regardless of whether Resolve is primary or secondary. Taking Resolve tree secondary was a pretty good call in the old system because runes and masteries combined gave you a decent chunk of baseline durability. Without that stat infusion, taking Resolve (in the new system) doesn't feel great. We're changing the way Resolve grants stats as a primary/secondary tree in order to make it a more viable secondary tree. Fixed a bug where abilities that cost health to cast will cause Revitalize's bonus healing amount in the rune panel to decrease. Normally, selling an item means buying another right after. Selling and then leaving base immediately is mostly the product of misclicking. Honor in 2018 is seeing some changes based on your feedback. Fighting to win earns you more rewards that get better as you level up. New checkpoints between Honor levels let you track your progress. Just like Ranked, your Honor level resets at season start so you can claim rewards all over again. These changes will ship at season start! Your Honor level resets at season start to a checkpoint between levels 2 and 3. Players who finished at levels 3, 4, and 5 earn a small boost depending on their level. We’ve made some big adjustments to how rewards work. New keyless Honor Orbs drop at every checkpoint past level 3 and keep coming after Honor level 5. Honor Capsules now drop when you reach levels 3, 4, and 5. That means you’ll get fewer Capsules than before, but they’ll contain the most exclusive rewards. Orbs and Capsules give you better rewards with every level up. Here’s what you’ll earn every time you level up or reach a checkpoint. 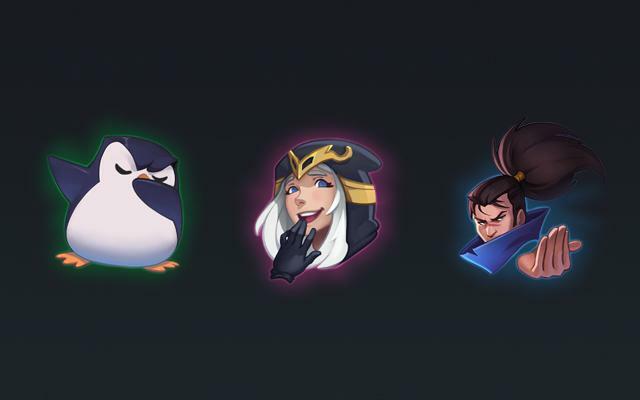 LEVEL UPLevel 5 Capsule containing 5 Key fragments, Grey Warwick or Medieval Twitch, and 960 Blue Essence or a higher value Champion Shard. If both skins are owned, you’re guaranteed an emote or ward skin instead. Energy or resourceless champion—such as Riven or Yasuo—can no longer stack Tear of the Goddess. Their allies can still stack tears, however. Fixed a bug where chaining certain dashes together would cause the second dash to last for the same duration as the first. If any Maokais were wondering why W - Twisted Advance took so long to reach a target after exiting Tahm Kench's R - Abyssal Voyage... that's why.